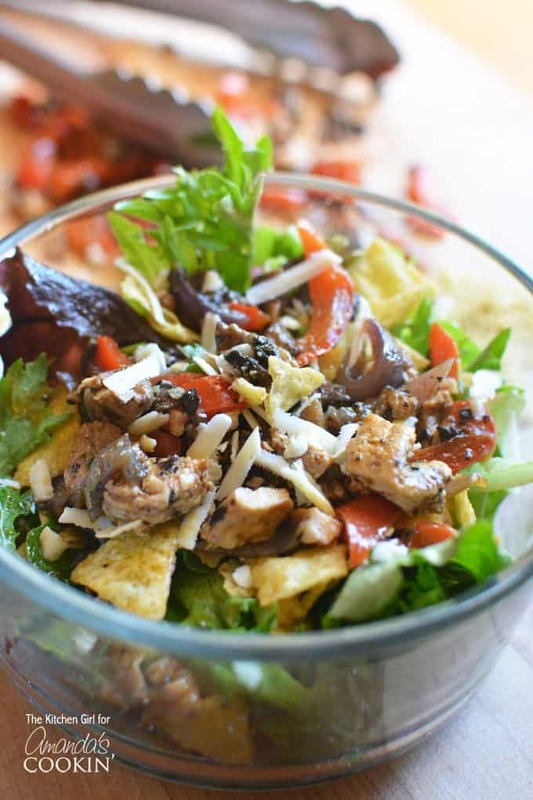 If you like taco salad (and who doesn’t), you’re going to love this Chicken Fajita Salad. It’s a great alternative to traditional, flour-wrapped fajitas. Nothing wrong with those, but if you’re watching your carbs, this Mexican-inspired salad might just become your new thing…for lunch or dinner. If you’re anything like me, you never stop searching for new, easy ways to create a whole meal (or two) from boneless, skinless, chicken breast. And you probably want to keep things on the fresh side, right? On busy weeknights during the warmer months, we find that salads-for-dinner are exactly what we need. As long as they involve some savory proteins, lots of vegetables, and any other thoughtful ingredients to offer flavor, texture, and contrast. 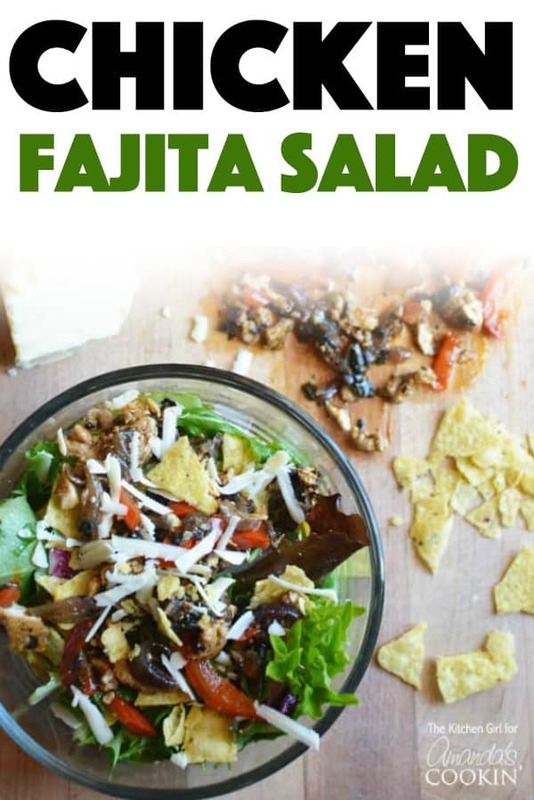 We have definitely found this to be the case with our Chicken Fajita Salad. Oh man, it couldn’t be easier! You literally slice the chicken, chop the vegetables, sauté the chicken, sauté the vegetables, allow them to cool down, toss everything together into a bowl of leafy green lettuce, and garnish with various toppings. That’s it. The hardest part might be cutting the chicken, but only if you are using a dull knife. So friend, don’t do that. 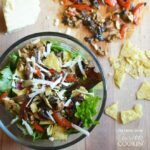 This chicken fajita salad is so good exactly as it is, but you could easily add some traditional Mexican ingredients to it, like cilantro, salsa, or jalapeños…the sky’s the limit! If you really want to wrap this beauty up and put a bow on it, make Low Fat Avocado Ranch Dressing as a creamy topping for it. You won’t regret it! 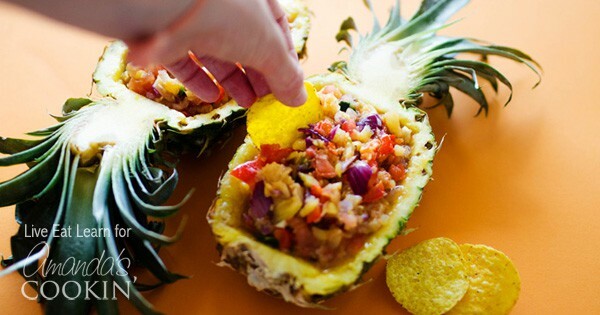 This summertime pineapple salsa will become a new favorite. Full of beautiful color and delicious flavors, your guests will be asking for the recipe! Looking for dinner? 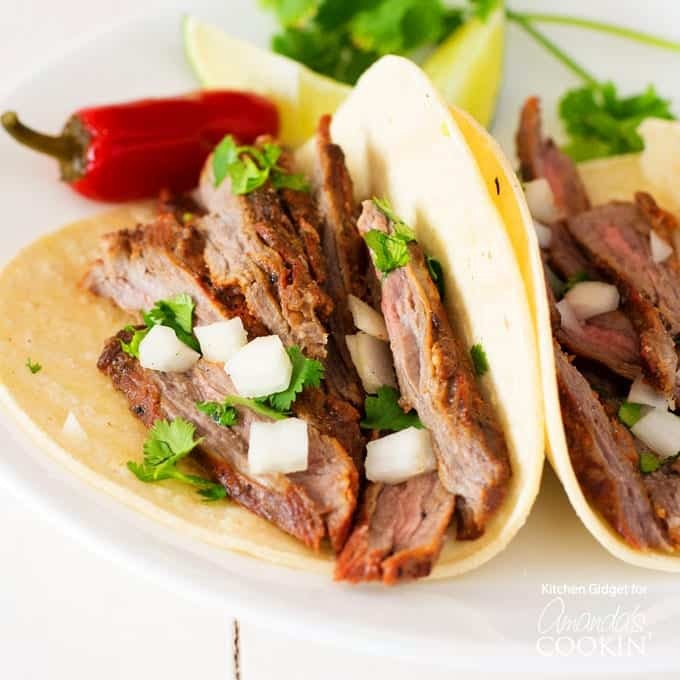 Try this authentic Carne Asada recipe. Mexican grilled steak atop corn tortillas with cilantro, onion, and a squeeze of lime juice! Love your chicken fajitas? 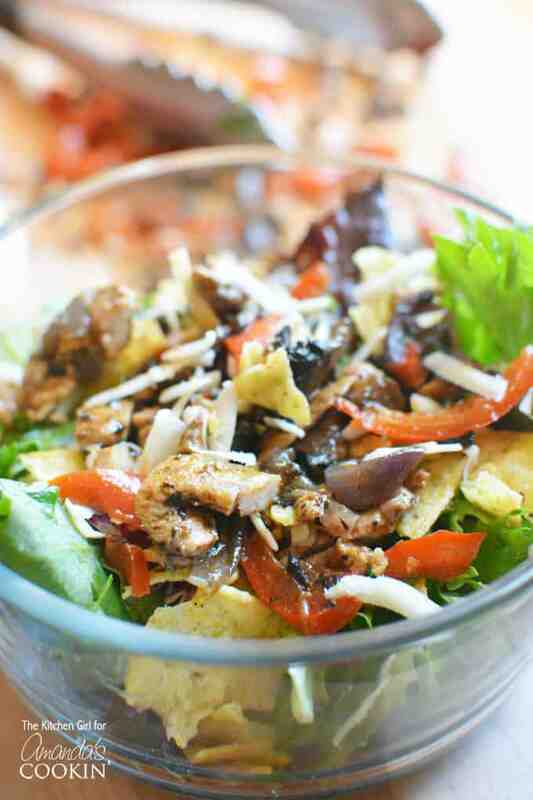 Then this chicken fajita salad is a delicious lower carb option you will adore. 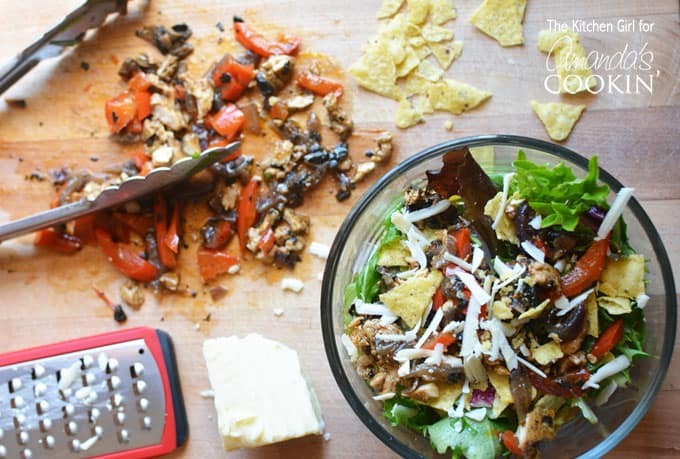 Spice up your day with a Mexican inspired salad. In a small bowl, toss together chicken breast, salt, and half of the fajita seasoning to coat all surfaces of the chicken. In a nonstick skillet over medium heat, heat half of the olive oil until shimmering (about 2 minutes). Add seasoned chicken breast to oil and sauté until chicken is opaque (no pink); transfer chicken to a plate and set aside to cool. To the skillet, add the other half of the olive oil; heat until shimmering. 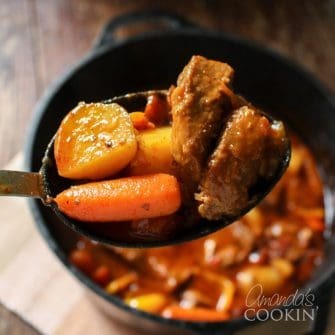 Add mushrooms, bell pepper, red onion, garlic and remaining fajita seasoning; toss to combine and sauté veggies until tender and fragrant (about 3 or 4 minutes); transfer vegetables to the plate with chicken; allow to cool; chop into smaller bites if desired. When ready to serve, toss chicken, veggies, and romaine lettuce together; squeeze lime over salad; (optional) sprinkle a few, crumbled tortilla chips and shredded Monterey Jack Cheese over salad for garnish. YAAAAS! This looks so filling and so delicious… without the guilt! Doesn’t get any better than that! !